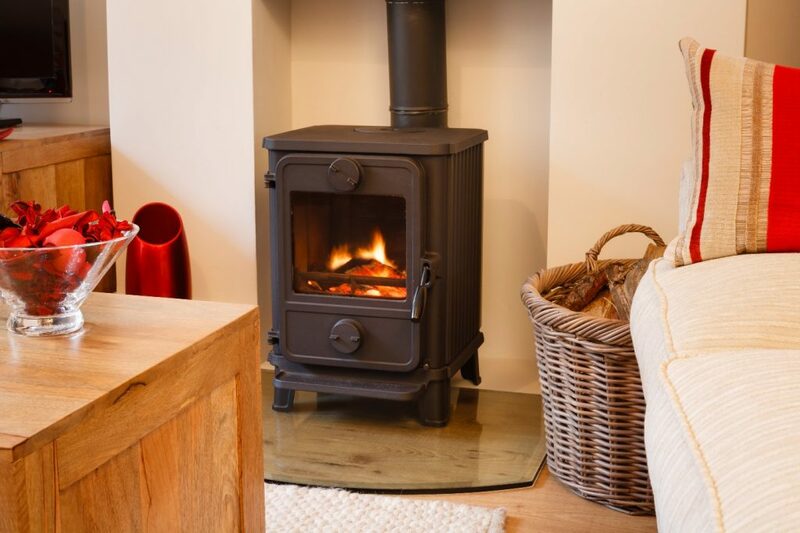 A wood stove is an ideal solution to get rid of a cold, drafty room or home while keeping your heating costs to a minimum. We offer a full line of wood stoves for sale, including EPA-certified stoves and inserts that can be purchased and installed by our professionals when you’re in the market to buy wood stoves in the Connecticut area. We carry a variety of different brands, sizes, finishes, colors, and styles to match the décor inside your home. Our experienced and knowledgeable team of professionals can meet just about any budget. Providing the proper installations will keep your heating bill down and family safe. 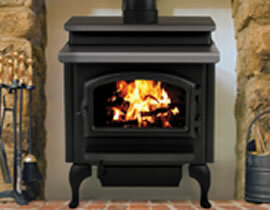 Our team will help you select the correct stove or insert that best suits your needs. This will drastically improve your comfort and wallet. We also provide custom installations for your satisfaction. For your convenience, we have special financing available; contact us for details. 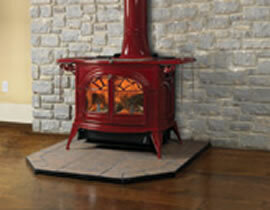 How will a wood stove increase heating efficiency? The stoves you buy from us are all technologically advanced. These are not the stoves of yesterday. 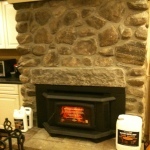 The installation process from our team at Creative Masonry & Chimney is a big part of determining how a stove performs. Using the right size and type of chimney venting will help produce the maximum amount of heat. 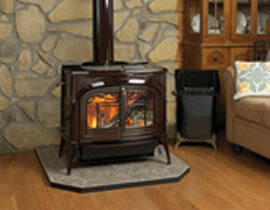 Burning wood in your fireplace can see up to 90% of the produced heat escape through the chimney. 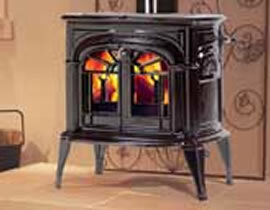 Our careful installation process by our professionals will maximize the heating capacity of your new stove. 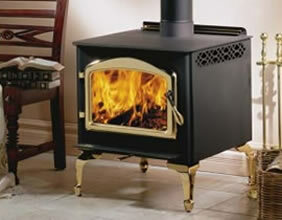 A wood stove will eliminate the heat loss in your home and producing usable heat. 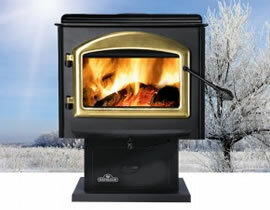 Just like a wood stove, you can buy pellet stoves that offer similar advantages. 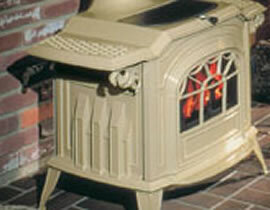 What advantages are seen with the wood stoves? When natural disasters knock the power out in your house, wood burning stoves produce heat and warmth even when you have lost electricity. 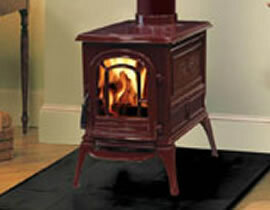 If you have a stove, there is always free wood available for burning, whether in your backyard or down the street. 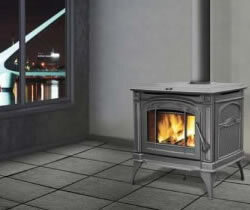 With many options available, you can purchase your stove for as little as $999, with special financing options available. 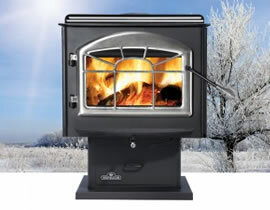 Due to newer EPA regulations, many stoves are clean-burning and meet strict criteria to make for great supplemental heat sources, which keeps your energy bill down. You can keep your house warmer at a lower cost. 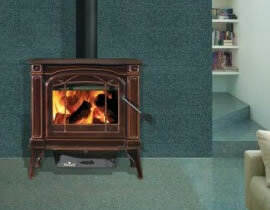 The wood stoves provide a clean burn through an innovative baffle system that burns combustible elements and reduces the wood that is consumed. Get more heat with less wood. Every solution we offer incorporates a single-level air control that makes it easy to operate and can maintain a clean flame. 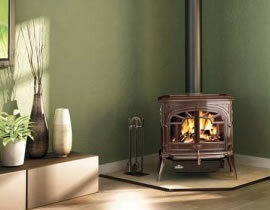 Many modern wood burning stoves have a large glass window that is easy to clean and maintain while still allowing you to view the flames safely. There are many options for you to choose from, and each has a unique design. We’ll work with you to determine the design that stands out in your home, and have our experts install the insert to help you increase energy efficiency. By incorporating a modular concept to design, our wood stoves, available in a wide selection, have the unique ability to dramatically change the overall appearance of the room. We also offer fireplace glass doors for your convenience. If you want somebody who will stand with you after you buy a wood stove, then Creative Masonry & Chimney is the choice for you. 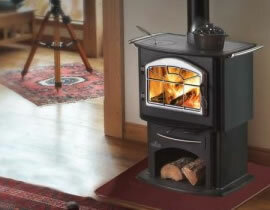 When you purchase a wood stove in the Connecticut area from our highly trained alternative heating experts, you’ll effectively lower your heating costs and raise the comfort in your home with one of the most efficient and beautiful wood stoves and inserts available today. We Do It All … Get Creative! 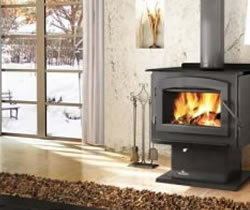 Select from the Pacific Energy Freestanding Stoves below to learn more. For heating up to 1500 sq. ft. Weight: 300 lbs.